Across the UK, businesses are expected to spend more on the office Christmas bash than Hillary Clinton spent in the recent presidential race. Nearly £1 billion, according to the event website Eventbrite, equating to an average of £42.48 per head, will be splashed out on everything from professional entertainment and decorations to high-quality food and free-flowing alcohol. Article by Donald Mackinnon – LAW at Work’s Director of Legal Services. Although employers want staff to have fun, they should also be aware that they could be liable for the behaviour of employees at their Christmas party, whether it is held in the office or off-site and out of normal working hours. An email beforehand to let staff know that the party will be an extension of the workplace could be enough to set a distinction between that and a normal Friday night at the pub. Overindulgence causes the majority of HR headaches at office parties, it would be wise, therefore, to supply plenty of soft drinks or even consider enforcing a limit. If a party is held midweek, merry employees may be unable to perform their duties as well the next day. Employers would do well to remember any disciplinary action in relation to their performance could be potentially unfair as a consequence. Whispers of possible pay rises and promotions to the sound of Mariah Carey’s Christmas classic can be an intoxicating mix for any employee and words of encouragement can easily be misinterpreted. One company was described as ‘lucky’ after the Employment Appeal Tribunal (EAT) ruled in favour of the employer after an employee claimed constructive dismissal on the grounds that his manager had broken a promise, made at a Christmas party, to double his salary. AT decided that the context of the conversation indicated the manager did not intend to enter into any legally binding contractual commitment, however commentators warn it could easily have gone the other way. A kiss under the mistletoe may be a sweet tradition, but in the workplace, flirty banter can quickly turn sour. Employers can aim to reduce the chances of staff getting over-friendly by putting in place a policy on workplace social events that sets out acceptable standards of behaviour at a party as well as any sanctions for breaches. Organisations can protect themselves against sexual harassment complaints by ensuring that staff are well aware of equal opportunities and/or bullying and harassment policies. It is also worth noting that if a claim is raised, employers might not be held liable for the actions of their employees if they have arranged adequate regular equal opportunities training for staff. With the increase in use of the new Facebook Live function and Periscope, which allows users to stream live video, antics from the office party could go viral before the last mince pie has been eaten. The office party banter can also continue well after the tinsel has been taken down through email and social media. In any workplace an acceptable use policy for social media is strongly advised and especially ahead of the Christmas party it would be wise to remind employees that videos or photos that may cause embarrassment or bring bad publicity will not be tolerated. It would also serve as a reminder that employees respect the privacy of colleagues potentially avoiding a serious workplace dispute, or allegations of bullying. Be aware that not all staff may celebrate Christmas. Some religions and faiths do not allow the consumption of alcohol or certain foods, so consider what alternatives are required to make your party welcoming for all. In addition to this, certain venues may be unsuitable for staff with disabilities. Failure to consider this may drastically damage your relationship with them and could lead to claims of discrimination. 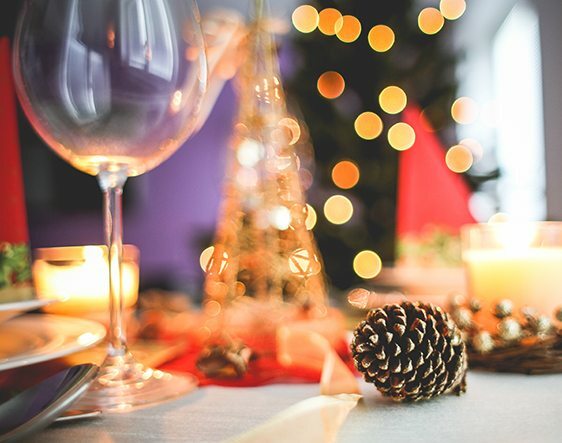 Some employers have given in to festive fear and cancelled the Christmas party but with a few considerations employers can help the holiday season go much more smoothly and ensure hard working employees enjoy a chance to relax and enjoy the season.